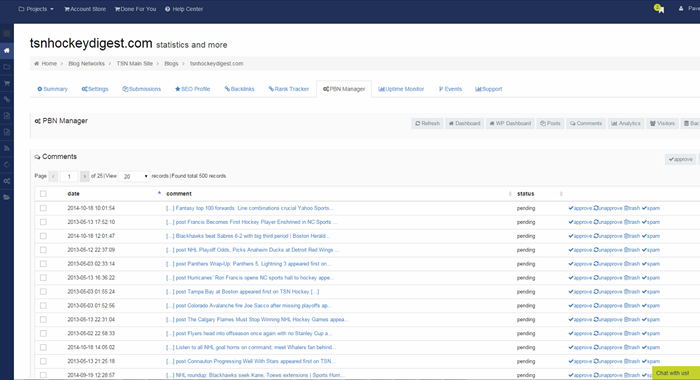 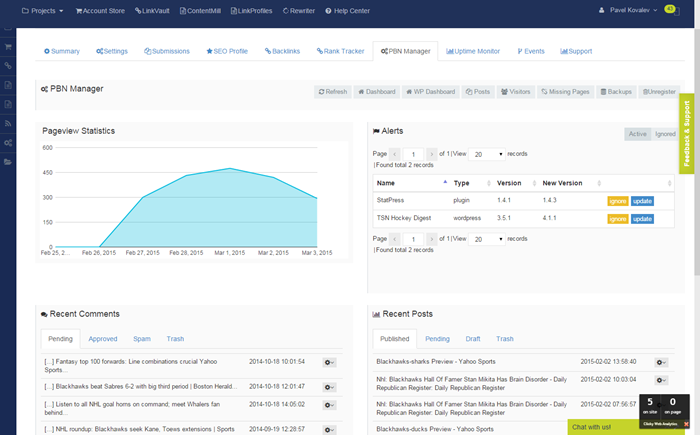 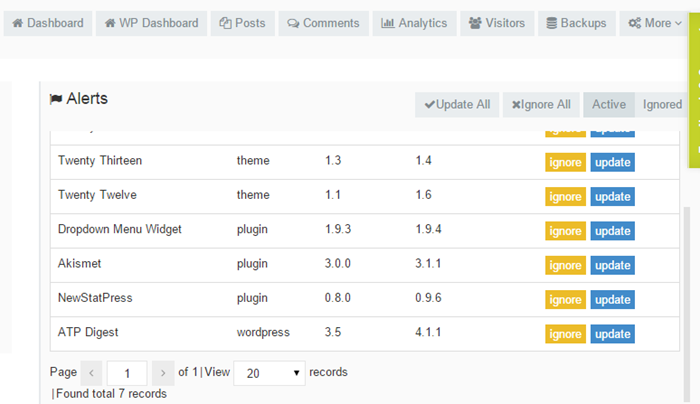 See right on your dashboard all your projects, posting stats and account usage metrics. 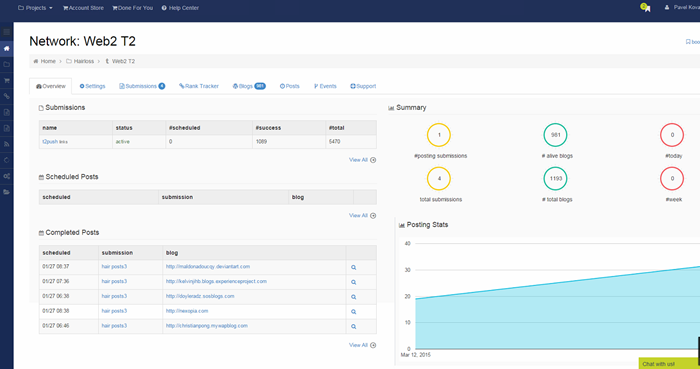 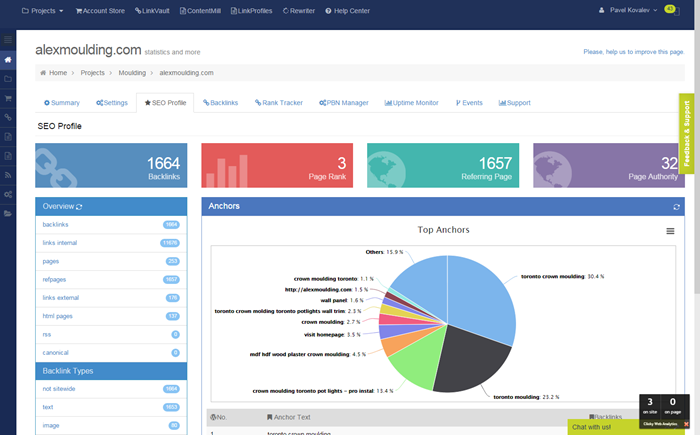 View comprehensive site dashboard with all major metrics, site screenshot, IP address, geo location, nameservers and whois information. 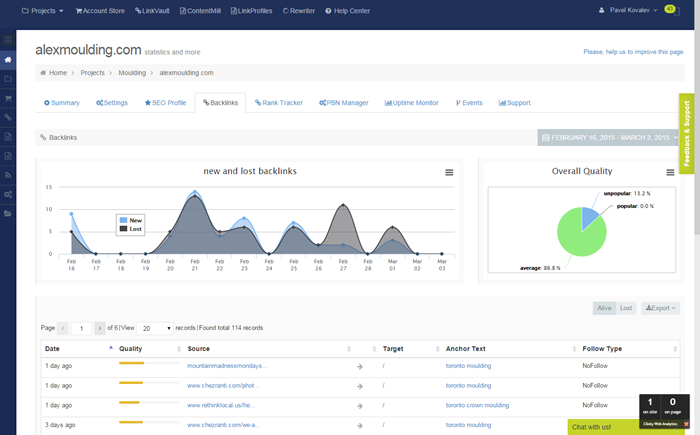 Monitor quality of your backlink profile. 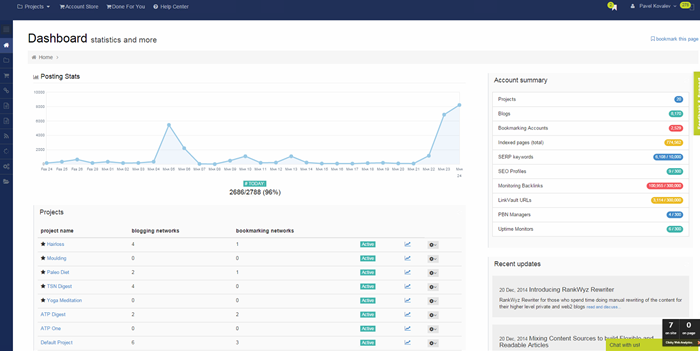 RankWyz daily aggregate your backlinks from all major link aggregation services (ahrefs, majestic, semrush and moz) and combines it with our backlinks we build to create most comprehensive snapshot of your linking profile. 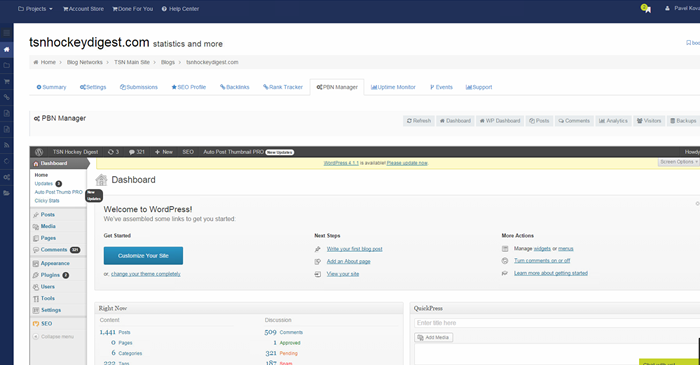 Don't let regular downtimes of your blogs to compromise your efforts. 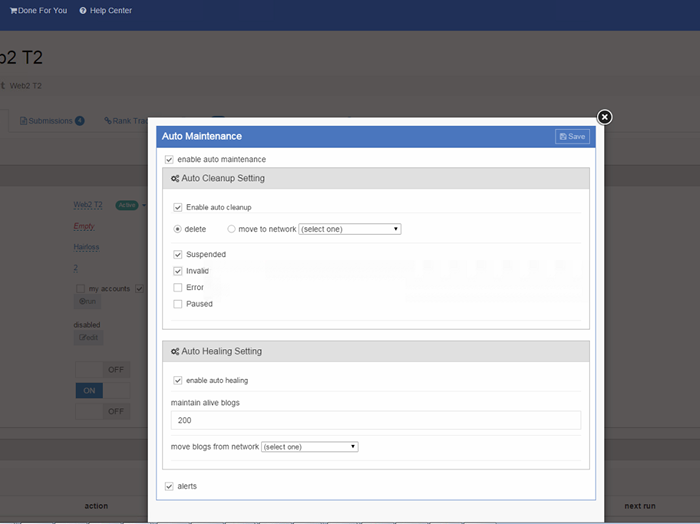 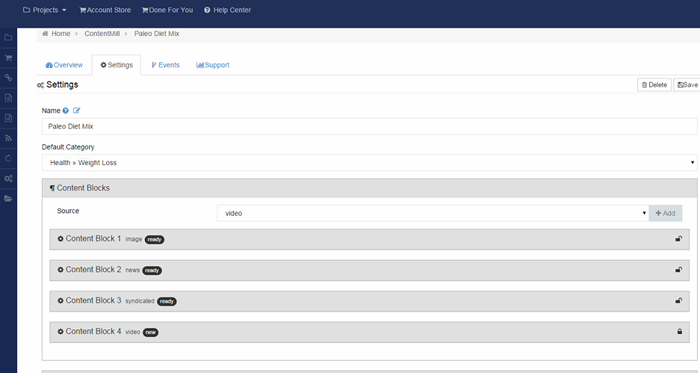 Enable uptime monitoring with a single click and get notified when your site is unavailable. 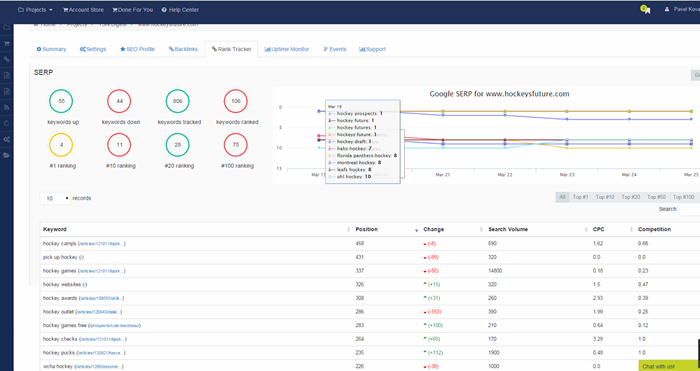 Detailed view of your backlinks breakdown by topic and quality, quick view on anchor distribution and most popular anchors. 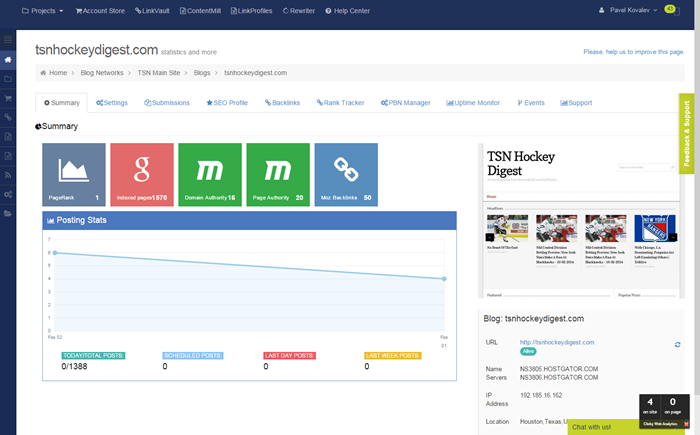 Integrated content server responsible for content syndication, extraction and building niche relevant articles for your PBNs and web2 blogs. 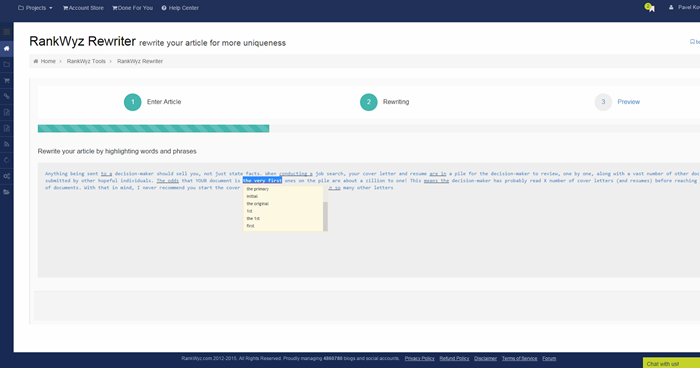 Use multiple content sources - syndicated relevant content, articlebuilder.net, articles extracted from news feeds, social feeds, RSS and more. 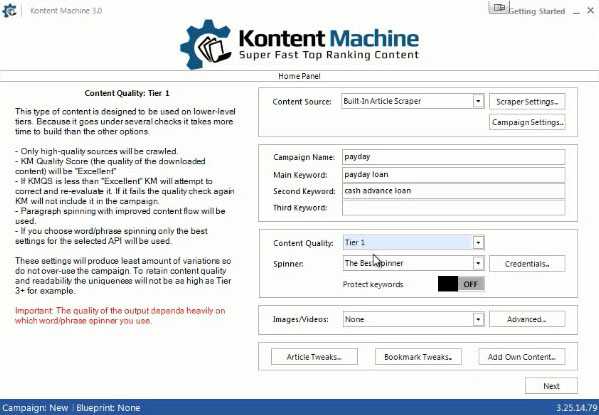 Advanced content builder allows creating custom content layouts by combining various numbers of "content blocks" - images, videos, news, social, own articles, articlebuilder, rss and more. 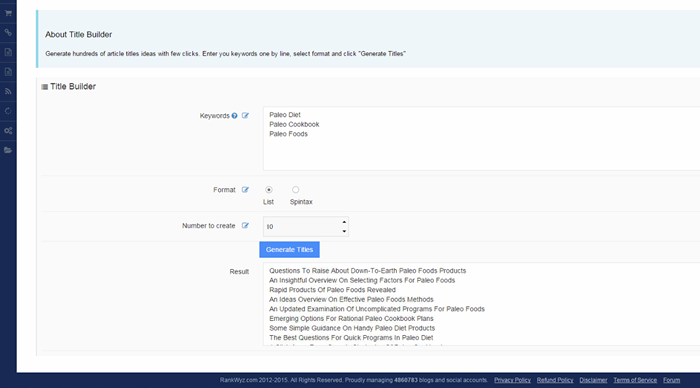 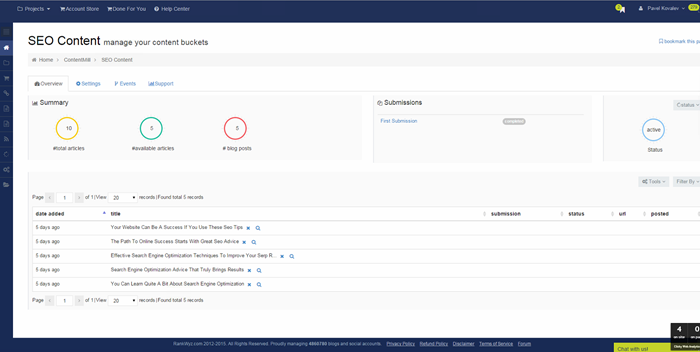 Customize every block - both content and template layout exactly up to you needs and specify link profiles and link placements. 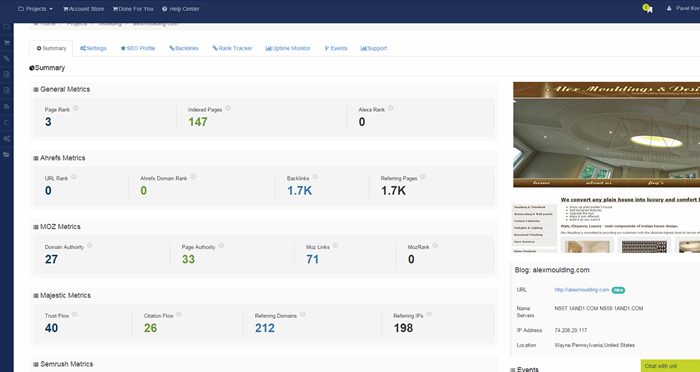 Essential part of modern SEO is niche relevant and yet diversified link profile. 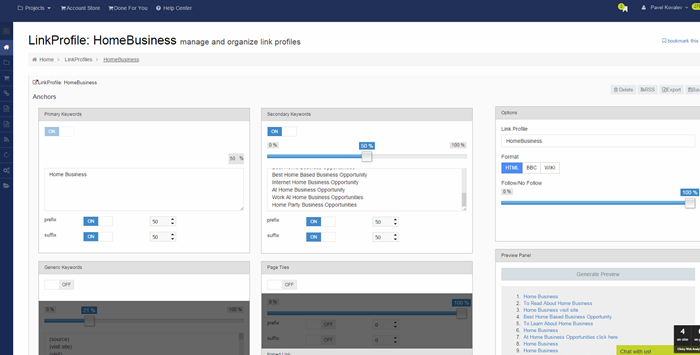 Build your Link Profile by visually combining primary, secondary, generic keyword and setting distribution between them; enhance anchors with prefixes and suffixes and extract page titles, Build link by combining your own URLs, automatically scrape and mix in authority URLs and also use home inner pages of your RankWyz blogs if you are looking for automatic interlinking of blogs in your networks. 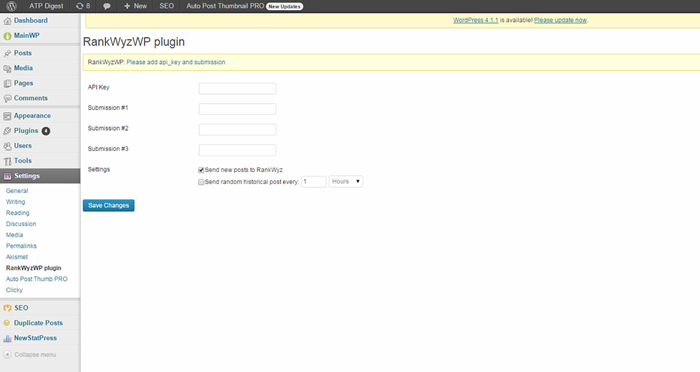 Configure and schedule your post to your private blogs; popular web2 blogs - wordpress.com, tumblr.com and dozens other high authority sites; social bookmarking sites - reddit.com, delicious.com, stumbleupon.com and dozens others and social sites - twitter.com, facebook.com, linkedin.com and others. 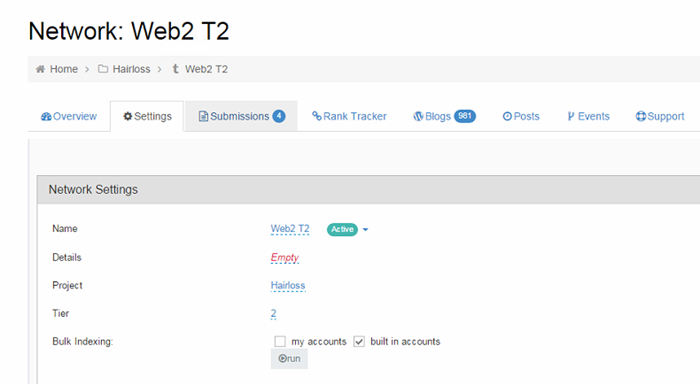 Do you have your or your clients' sites outside of the RankWyz? 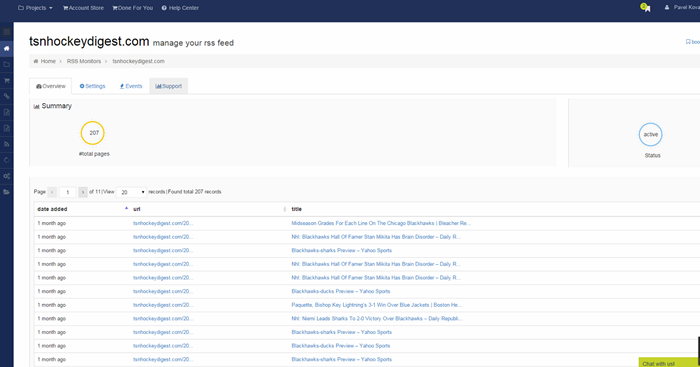 You can configure RSS monitors to discover all new pages and automatically send them for backlinking with your RankWyz blogs or bookmarking / social accounts. 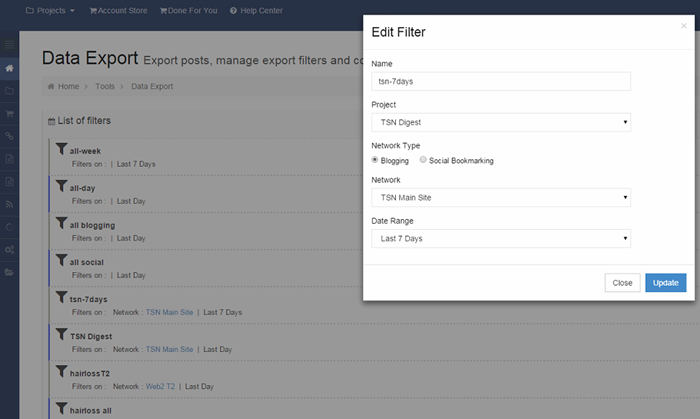 Simple set-and-forget setup for e-commerce sites, press release feeds, etc to automatically trigger snowball like posts across all your blogs and accounts. 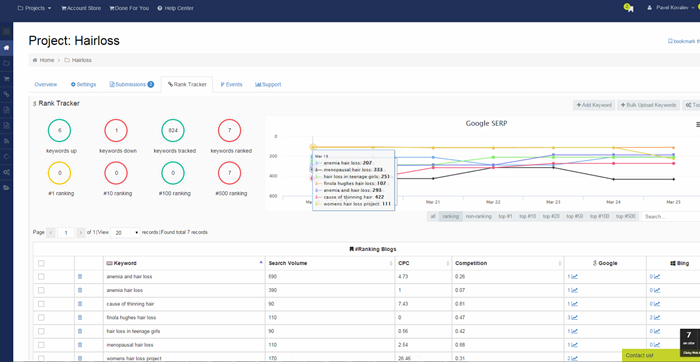 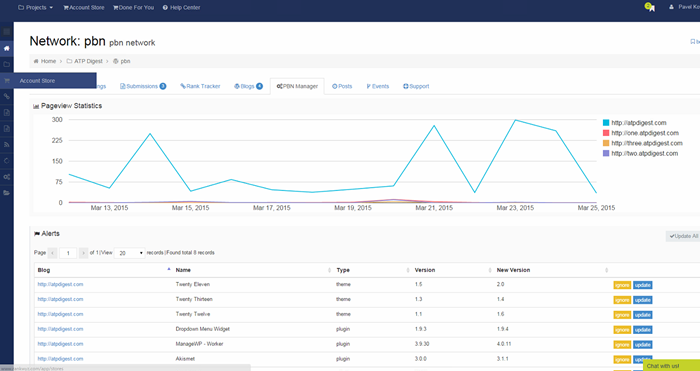 View aggregated SERP Metrics for a project and/or a network - number of tracked keywords, number of ranking keywords and number of keywords with the blogs in top 1, top 10, top 100 and top 500. 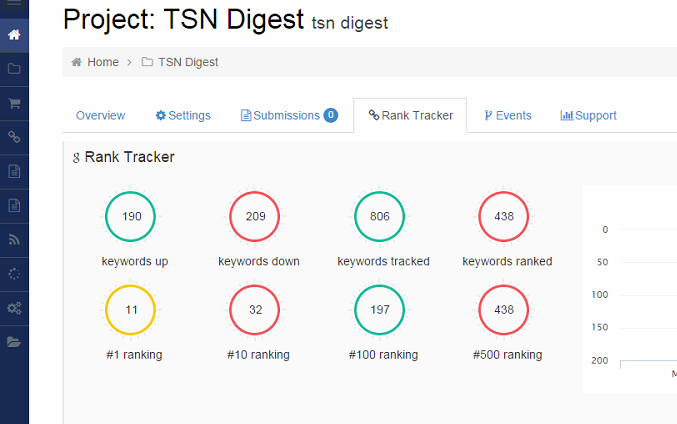 View ranking positions for every blog in your network, view all ranking keywords, historical graphs and aggregated metrics - number of keywords in top 1, top 10, top 20 and top 100. 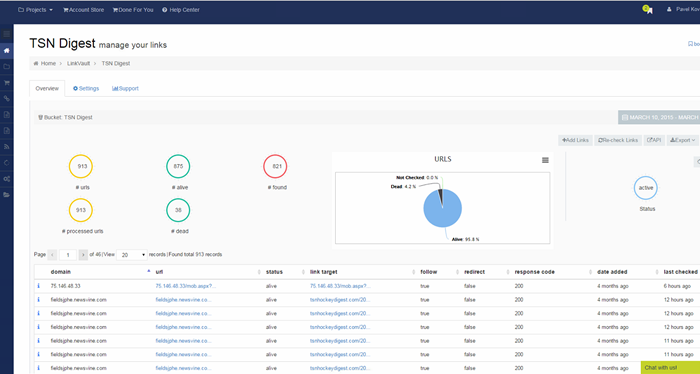 LinkVault is a built-in long term link storage and checker. 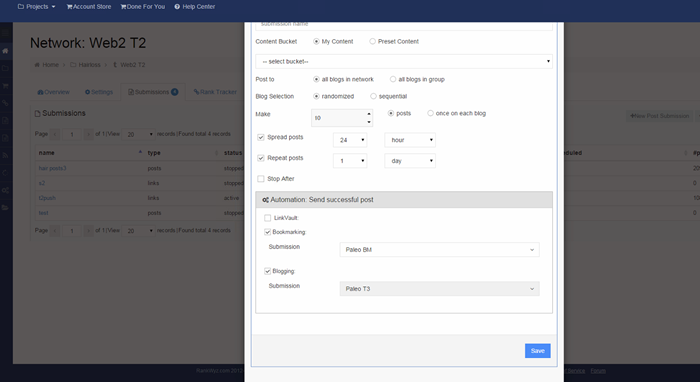 Unlike transactional data urls once added to a LinkVault would never be deleted and if configure validated and checked for a links presents weekly. 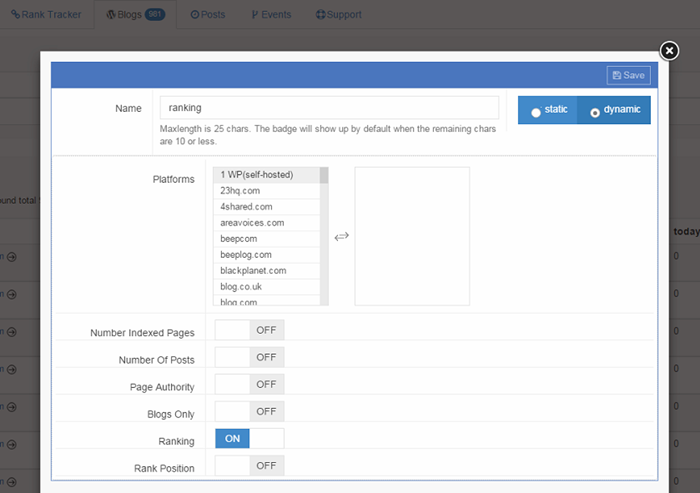 Create static of dynamic blog groups based on your own authority criteria - number of posts, number of indexed pages, page authority, presence in search indexes and position and more. 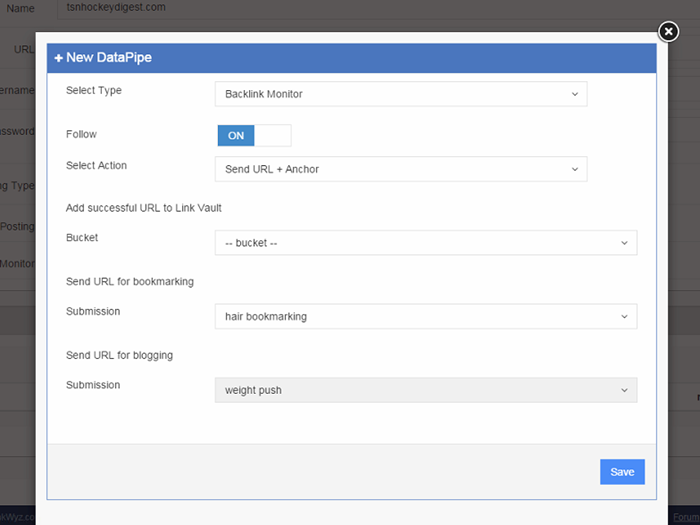 Automated process "data pipe", that can be configured to automatically send newly discovered backlinks from major link aggregation and discovery services (ahrefs, majestic and others) to your rankwyz submissions to automatically create "backlinks to your backlinks". 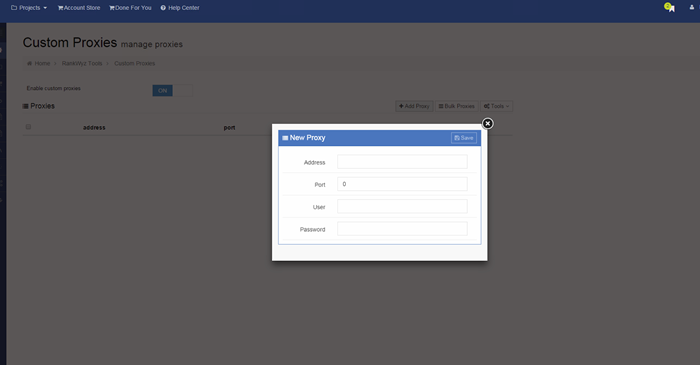 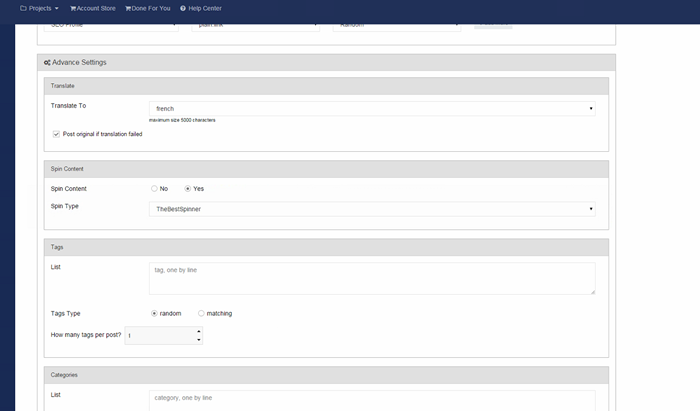 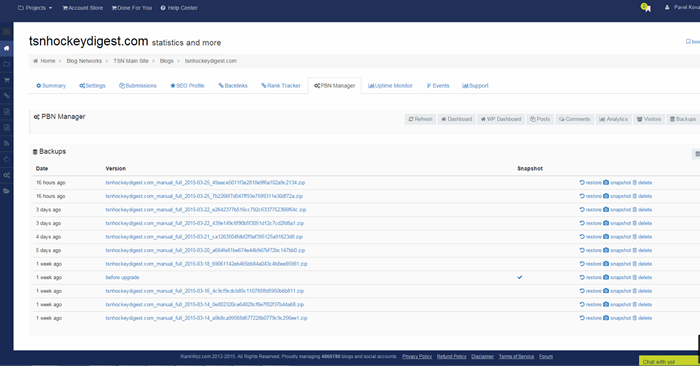 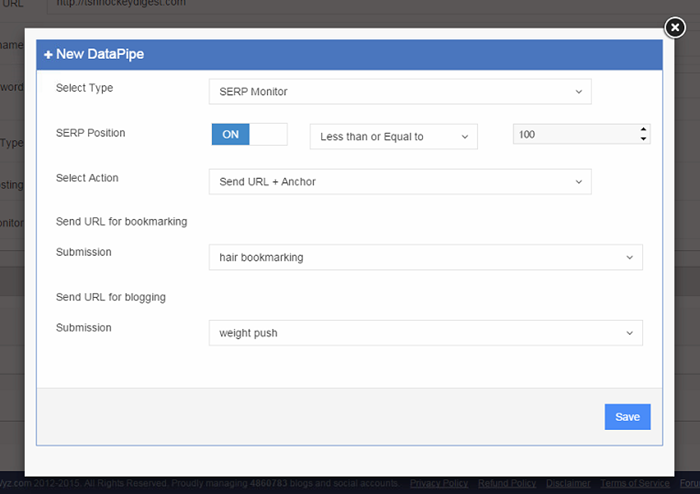 Automated process "data pipe" that can be configured to automatically send blogs' urls to a lower tier as soon as they appear in search index.